We’re having a party! 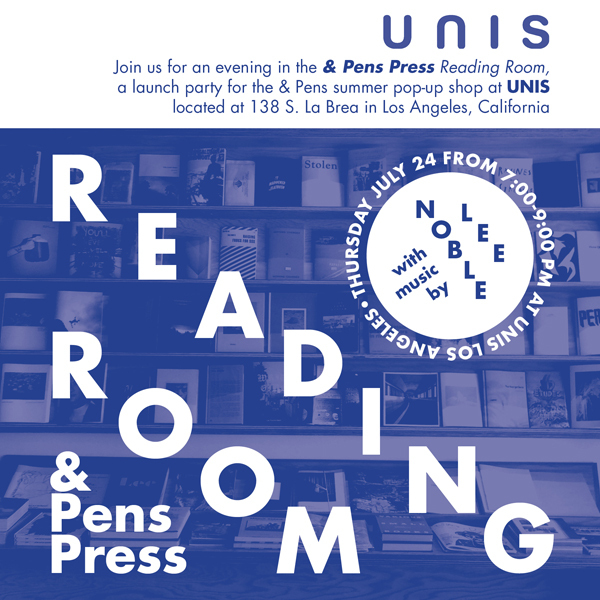 Join us on Thursday July 24 from 7-9pm for an evening in the & Pens Press Reading Room – a launch celebration for our summer pop-up shop at Unis LA 138 S. La Brea Ave. LA CA 90036. Featuring zines, art books, and a live musical performance by Lee Noble. Refreshments will be served. See you there! Previous Previous post: & Pens summer pop-up at Unis LA!